PGAT Test is classified in two categories namely PGAT-I and PGAT-II. The applicant having appeared in/passed final year examination of his/her graduation or equivalent examination required for eligibility with a subject mentioned in List I, List II, List III and List IV as one of his/her subjects in final year of his/her graduation or its equivalent is termed as Subject Candidate for the respective course in the subject. Subject Candidate along with exemption from appearing in the respective PGAT-2019 test mandatory for corresponding Subject Candidates. The merit of such Non Subject Candidate will be computed on the basis of average of his/her scores in the respective two PGAT-2019 tests for which he/she is a Subject Candidate. An applicant who does not qualify as Subject Candidate for a course in Sociology/Psychology but is applying as a Subject Candidate for two courses in the subjects allotted to the applicant in final year of his/her graduation or its equivalent out of the subjects mentioned in List I, List II, List III and List IV excluding Sociology and Psychology can opt for admission in a course in Sociology/Psychology as a Non Subject Candidate along with exemption from appearing in the respective PGAT-2019 test mandatory for corresponding Subject Candidates provided he/she has scored 60% or above in his/her graduation. The merit of such Non Subject Candidate will be computed on the basis of average of his/her scores in the respective two PGAT-2019 tests for which he/she is a Subject Candidate. An applicant who does not qualify as Subject Candidate for a course in Economics but is applying/has applied as a Subject Candidate for two courses in the subjects allotted to the applicant in final year of his/her graduation or its equivalent out of the subjects mentioned in List I, List II, List III and List IV excluding Economics can opt for admission in a course in Economics as a Non Subject Candidate along with exemption from appearing in the respective PGAT-2019 test mandatory for corresponding Subject Candidates provided he/she had either Mathematics and Statistics as subjects in final year of his/her graduation or Economics as one of the three subjects of his/her graduation. The merit of such Non Subject Candidate will be computed on the basis of average of his/her scores in the respective two PGAT-2019 tests for which he/she is a Subject Candidate. For admissions in courses in given subjects as mentioned in List V, separate applications are required for each such course with no restriction on number of such applications provided eligibility criteria for respective course(s) are met by the applicant. Each PGAT 2019 test of 300 marks will consist of 150 Multiple Choice Questions (MCQs). First fifty questions of PGAT 2019 test for a course mentioned in List I, List II and List III will be compulsory for all candidates. These fifty questions will be related to General Awareness, General English, General Hindi, Logical Reasoning and Mental Ability. Each correct answer will be awarded ‘2’ (two) marks. Remaining hundred questions of PGAT 2019 test for a course mentioned in List I, List II and List III will be related to two subjects of final year of the applicant’s graduation for which applicant has applied as a Subject Candidate wherein fifty-fifty questions will be related to each subject separately. First fifty questions of PGAT 2019 test for a course mentioned in List IV and List V will be compulsory for all the candidates. These fifty questions will be related to General Studies. Each correct answer will be awarded ‘2’ (two) marks. Remaining hundred questions of PGAT 2019 test for a course mentioned in List IV and List V will be related to respective subject. Each correct answer will be awarded ‘2’ (two) marks. PGAT-I test meant for courses mentioned in List I, List II, List III and List IV will be conducted Online as well as Offline. PGAT-II test meant for courses mentioned in List V will be conducted online only. Admit Cards for all the valid applications received by the university will be processed and enabled on the website www.aupravesh2019.com The Candidates can download their admit card from the website after entering their Application ID and date of birth. Candidates must correctly enter their date of birth in the Online Application Form. All Admit Cards will be uploaded for all the valid applications one week before actual commencement of the PGAT 2019 Test. IMPORTANT: No Admit Card will be sent by post or distributed from the counters. The Admit Cards downloaded from the website www.aupravesh2019.com are valid and does not require any attestation. 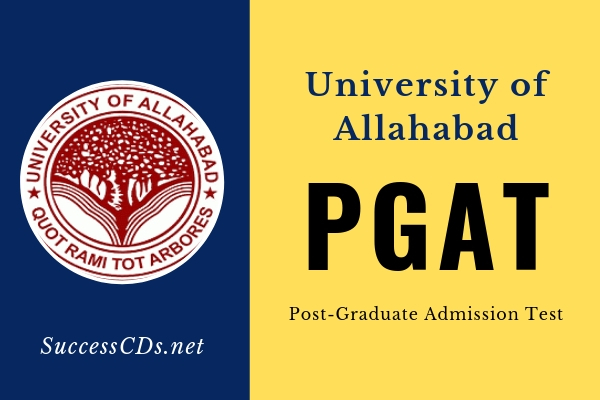 Online Applications: Candidates can submit online form for the PGAT-2019 test at the website www.aupravesh2019.com. The website provides all the information required for online form submission. Online Prospectus: The prospectus for PGAT-2019 can be downloaded from the website www.aupravesh2019.com and the admission seeking candidates can visit the website and download it. Candidates are advised to read the prospectus carefully before applying. The Registration Fees for PGAT-I Courses: General and OBC Category is Rs.800/- and SC/ST/PH is Rs. 400/. The Registration Fees for PGAT-II Courses: General and OBC Category is Rs.1600/- and SC/ST/PH is Rs. 800/.